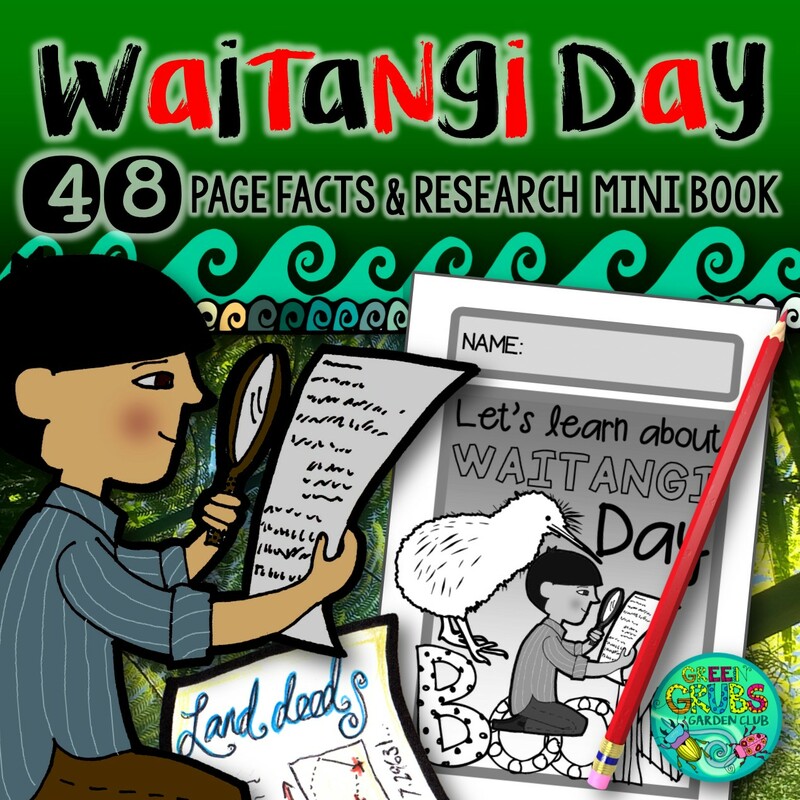 Did you know that there are actually 9 copies of the Treaty of Waitangi? They travelled the country after the initial signing in Waitangi on the 6th February 1840 collecting more than 500 signatures! 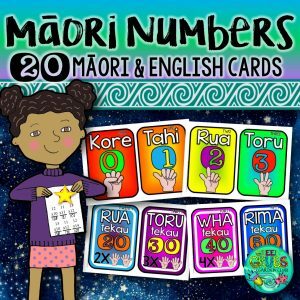 This 48 page mini booklet pack is designed to support your classroom discussions about the Treaty of Waitangi. 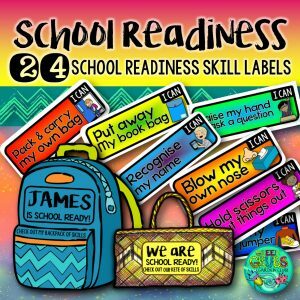 It was created to address the lack of easy to use resources for primary aged children in New Zealand – you can mix and match from the large selection of pages to best meet the needs of your class. • Information about the date the treaty was signed – how many years ago was it? How old will you be at the 200 year anniversary commemorations etc. • Fire! Did you know the treaties were nearly burned in a fire in 1841, and were then damaged through poor storage? How would you protect the Treaty? 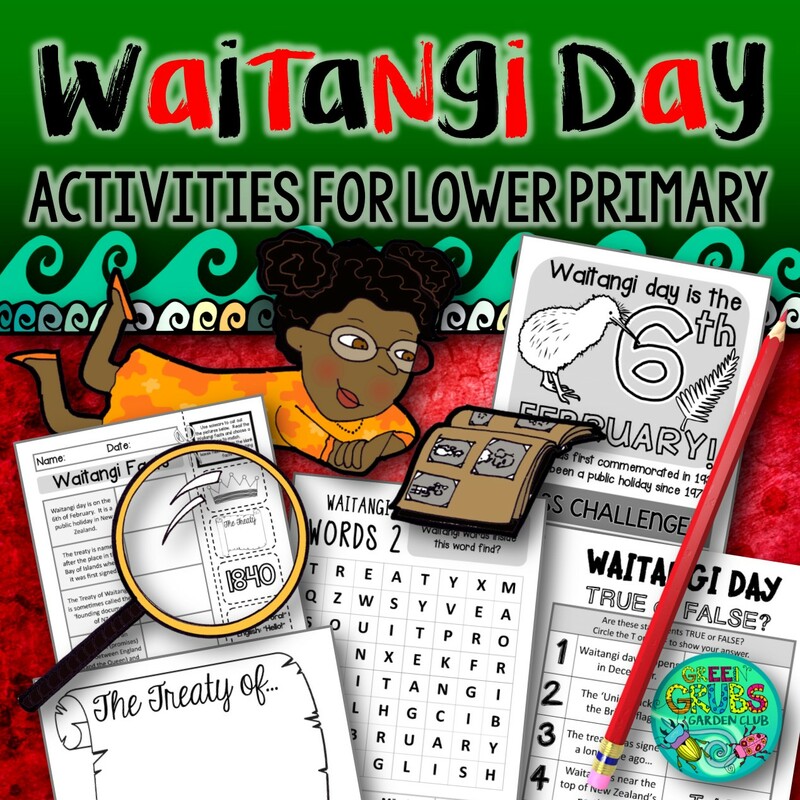 • How do you spend Waitangi day? • Some Maori Chiefs signed the Treaty with their moko patterns. How do you sign your name? What symbol would you choose to represent you? 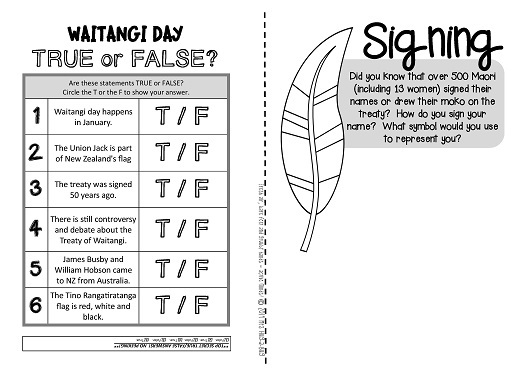 • Waitangi day – controversy or celebration? • Things to think about……Why do you think some Māori Chiefs refused to sign the treaty? Would you have signed it? 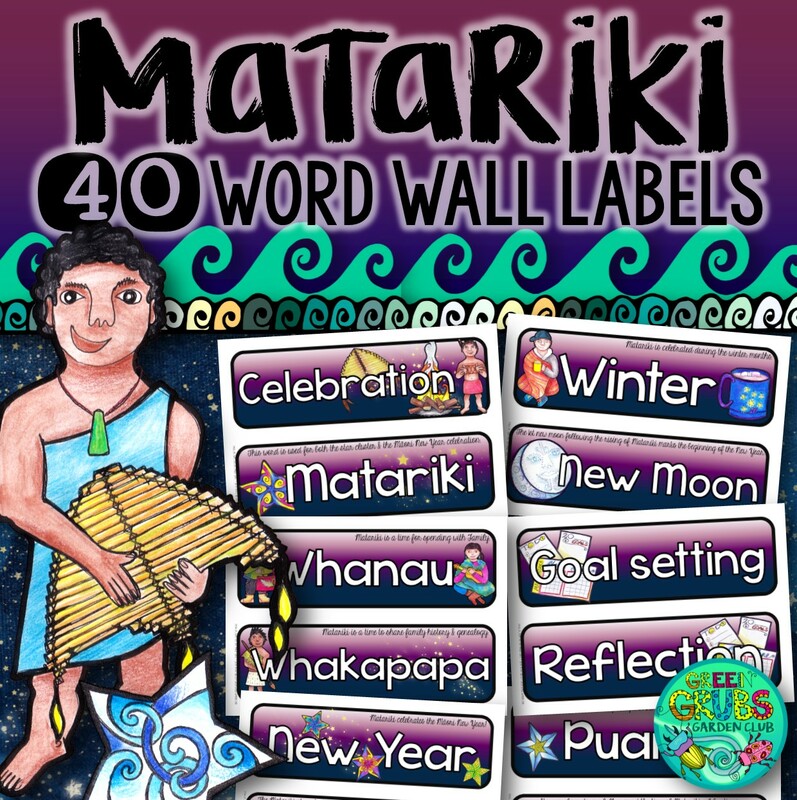 What do you think people will be doing on Waitangi day 100 years from now? 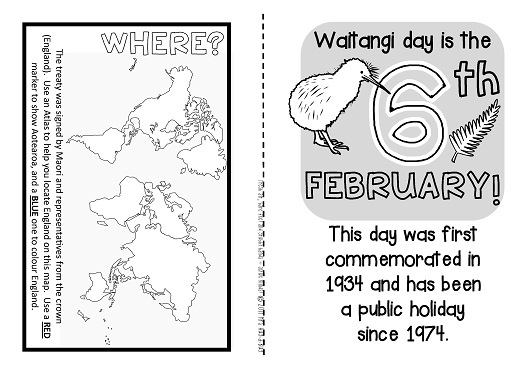 • What questions do you have about Waitangi Day? Record your ‘open’ questions and find an expert to answer them!